The biggest misconception about saving money is that many people think it’s something you do at the end of the month with what you have left over after all of your expenses. The truth is, nobody ever has leftover money. There’s always something to spend it on. The better way to think about saving is as something you do first, before you spend anything. This is often called the “pay yourself first” method. Here are some strategies for paying yourself first to build up your savings. Perhaps the most important “save first” technique is to figure out how much you can afford to put away each month. Add up all of your essential expenses for the month (bills, loan payments, etc.) and then subtract that amount from your total income. The bottom number tells you how much money you don’t need to spend each month. Use that number to decide on the amount you want to “pay yourself” at the beginning of each month. Remember: Don’t try to save every penny available. Leave yourself some wiggle room by only committing to saving half or a third of that bottom number. Many Americans with a savings account also have a checking account, and vice versa. Link your accounts together and set up an automatic transfer from checking to savings on the day of or the day after your payday. That way, the money you want to save will never appear in your checking account, making it easier to avoid the temptation to spend. Start small, with amounts in the $25 – $50 range, then gradually build it to $100 – $150 as you find ways to cut your spending each month. If you’re not already taking advantage of paycheck deductions through your employer, start as soon as possible. Many employers offer direct deposit to their employees, and one option is to earmark a portion of each paycheck for a savings account, CD, or IRA. 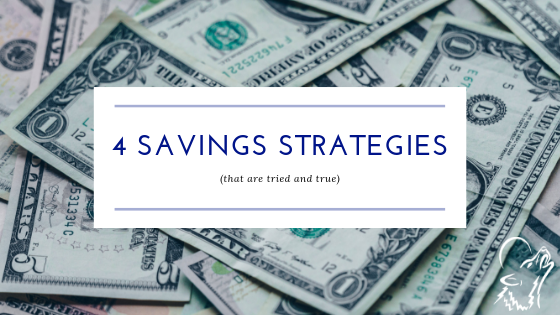 Even if you only save $25 each paycheck this way, that money will go directly into your savings fund. No, not the thing “old people” used to play music on back in the days before iPods and smartphones… Certificate of Deposit accounts are federally insured (so you cannot lose the money, even if the financial institution is sold or fails) and mature after a specific period of time (usually one month to five years). Not only is it more difficult to withdraw funds from these accounts, most CDs earn much higher interest rates than savings accounts. They can be a great tool if you find yourself dipping into your savings account on a regular basis for unnecessary expenses. Check out Wolf River Community Bank’s CD rates here. To find the best way for you to save, talk to your banker at Wolf River Community Bank. They’ll be able to set you up with the right combination of financial products to help you reach your savings goal, whether it’s early retirement or next year’s vacation.